Watch Whose Life Is It Anyway? "You'll have a lot of laughs.....before you cry." After a terrible car accident, Ken Harrison, a skilled sculptor, becomes a paraplegic. He no longer wishes to continue his life in this manner. Euthanasia is not legal so he must take legal action for the right to end his life. His doctor is opposed to this outcome and his lawyer also has reservations. Harrison pleads his case since he finds his current quality of life unbearable. 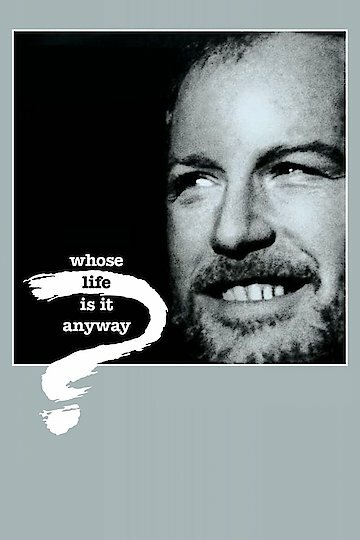 More Like Whose Life Is It Anyway? Whose Life Is It Anyway? is currently available to watch and stream, buy on demand at Amazon, Vudu, iTunes online.